Lalibela Game Reserve’s location in the Eastern Cape means it is not only malaria free, but spans 5 ecosystems, resulting in a breath-taking diversity of plants, animals & birds. Lalibela has 3 lodges all offering décor that is infused with the essence of Africa, as well as warm and friendly service and unforgettable game viewing. Open vehicle game drives bring you face to face with elephant, rhino, buffalo, lion, cheetah, hippo, giraffe, zebra, warthog and numerous species of antelope. Food is true safari cuisine with an emphasis on local specialities, ranging from centuries-old recipes to exciting contemporary African dishes. A special children’s programme is offered at one of the lodges. Unique in the Eastern Cape, Lalibela Game Reserve has no public roads running through its property. Home to the Big 5, all of the animals, including the predators, are free roaming throughout the entire reserve. An overnight stay at Lalibela includes an afternoon/sunset game drive, followed by a safari cuisine dinner prepared by our chefs. The following morning, after a light breakfast, guests have a morning game drive before returning to their lodge for a large brunch. Lentaba Lodge – 8 stone & thatch rooms with private viewing decks. Mark’s Camp – 4 standard stone & thatch rooms & 4 family suites. Dedicated children’s programme offered. Tree Tops – Tented camp with 5 luxury air-conditioned safari tents perched on thatched platforms. Boma Restaurant – a 3½ hour African-themed dining extravaganza including dancing & drumming. Seats up to 110 guests. There is a huge demand for families wanting a safari holiday in a malaria-free area, because of the risks associated with taking children to a malaria-infested area. Lalibela’s location makes us ideal for families travelling with children, who are wanting to combine a family safari with the Garden Route and Cape Town. Lalibela Game Reserve have devised a children’s programme which optimises the safari experience with quality family time. There is a special game drive vehicle for children and they are taken by their own ranger for shorter game drives, where care is taken to avoid close encounters with dangerous game. Other features of the children’s programme include arts and crafts, bush skills, African stories, special child-friendly food and babysitting during certain hours (including adult dinner and game drives). Each family is different and children require varying degrees of attention, which is why the emphasis at Lalibela is to be as flexible as possible to ensure memorable family holidays. The overnight rate for children under 12 includes accommodation, children’s programme & game drives, all meals and all drinks at Mark’s Camp and on game drives. 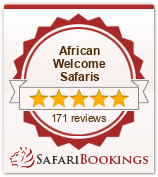 To get the most out of your safari experience we recommend that you spend at least 2 nights on safari.